Will there ever come a day that I’m not on the hunt for menswear pieces? No. Never. Menswear. You’ve heard this word before. It’s my all time favorite trend. You’ve also heard that before. Be prepared to see more menswear inspired outfit posts on my page. (Like you haven’t seen enough.) Menswear takes everything to the next level. It’s sleek. It’s sharp. I feel so powerful and trendy in menswear. I don’t have to show off a bunch of skin to turn heads. Nope. These trousers and my Urban Outfitters button up did plenty of that. I just love the contradiction of wearing bright orange red lipstick and curly hair with such a serious outfit. I’m having fun. That’s what it’s all about. 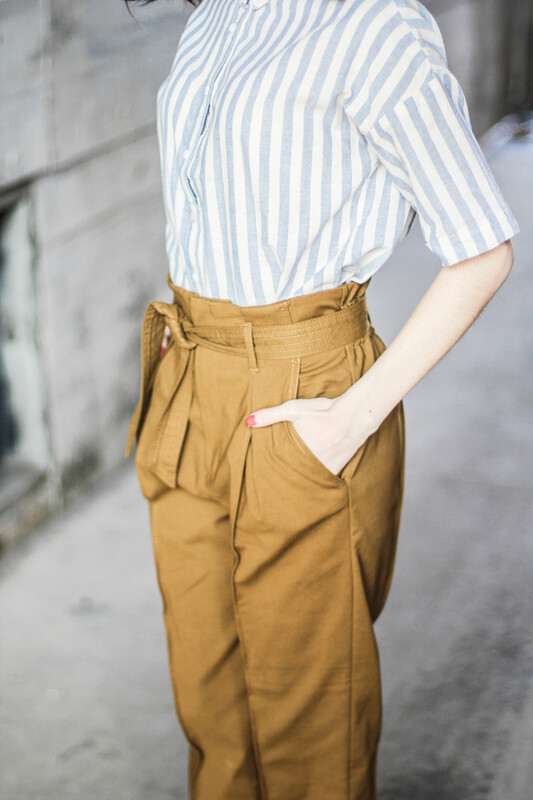 Okay, I cannot get enough of these ZARA high waisted pants. I could live in them for the rest of my life. It’s such a good feeling investing in something with top notch material. 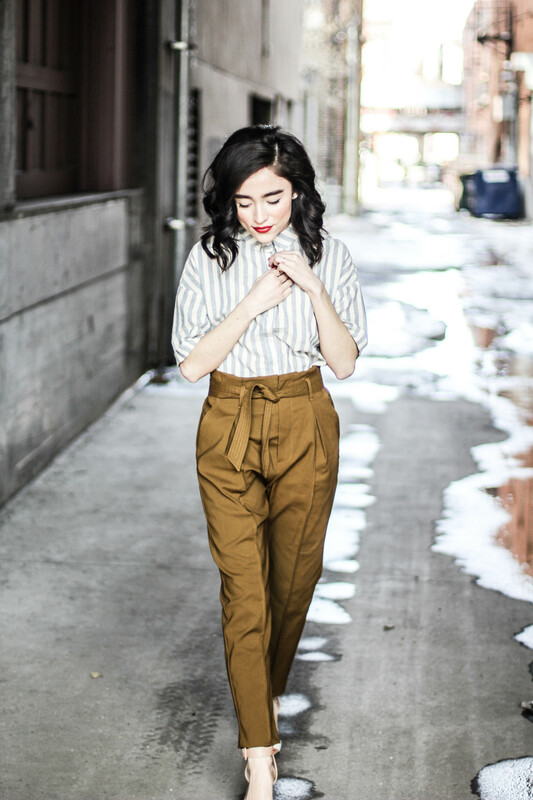 Unlike most bow tie pants that are out there right now, these ones were made to last forever. They’re thick without being too heavy. They’re soft without being too cheap. They’re comfortable without looking like sweats. They are simply perfect. The olive green color caught my eye, not because it may resemble puke, but because it’s such a statement color without being too “in your face.” A very subtle statement piece and I’m all about that. Believe it or not but this shade of olive green can be paired with more than a handful of other colors. It’s like jeans…but better. 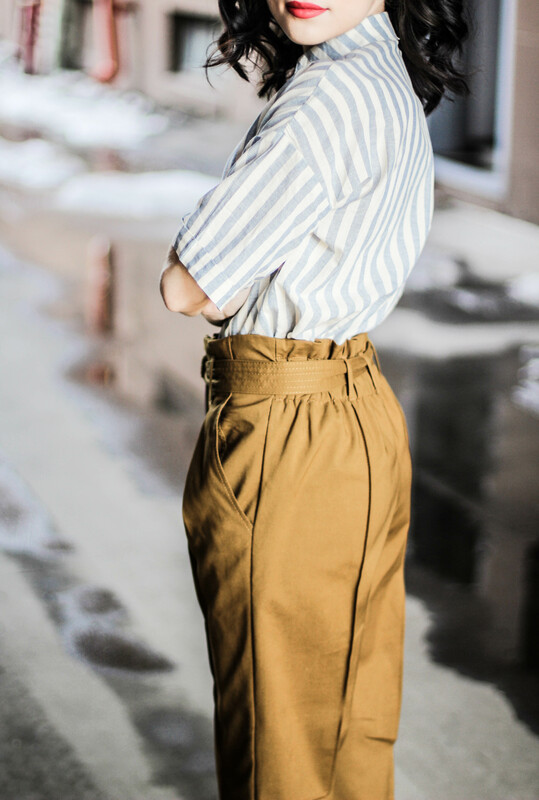 What I love about high waisted trousers is that you can pretty much pair whatever you want with them: Button ups, crop tops, sweaters, long sleeves, turtlenecks. The list is endless… and so is my love for this outfit. So there. Totally in love with this outfit! So glad I stumbled across your incredible blog! 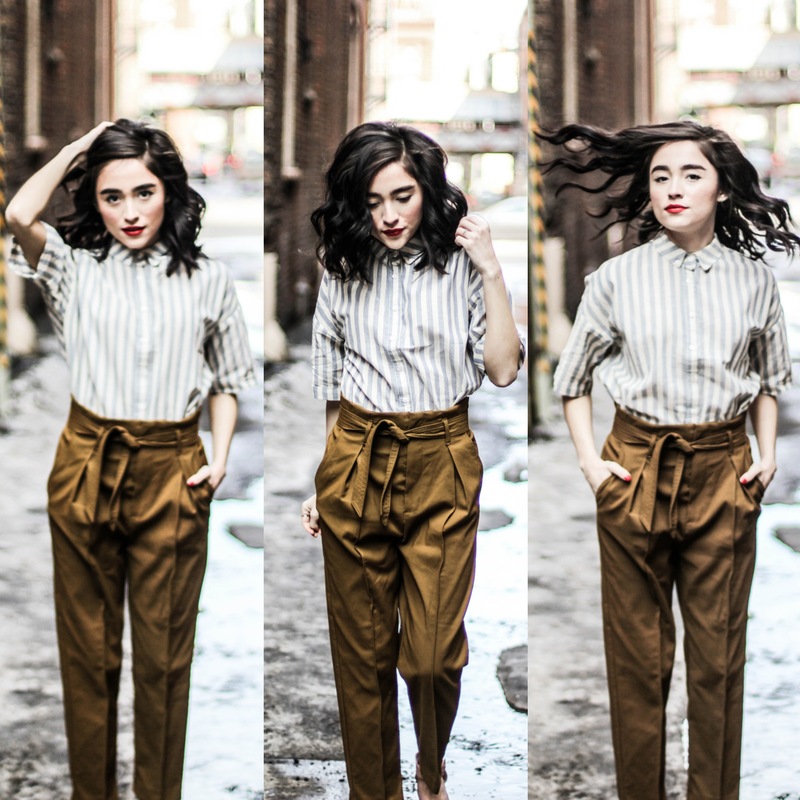 You pull of menswear very well, so many women tend to look like they’re drowning in it. I am petite like you. Can you share what size you bought in the anthropologie haul? I think we are similar height and weight. Thanks! Hi Rita! Thanks for watching. I buy XXSP in Anthropologie. 💙 Hope that helps!